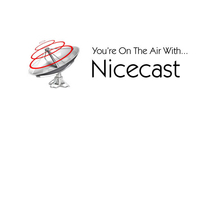 Icecast Server Hosting Radio Production • ROCKHOST.COM, Inc.
Broadcast an audio source remotely from any studio, or stream locally on the server side (or both). 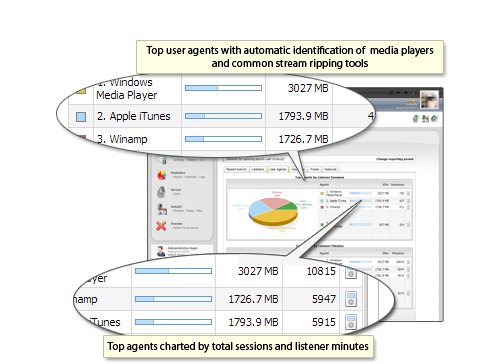 Automatically switch back and forth between live disk jockeys and an auto dj. 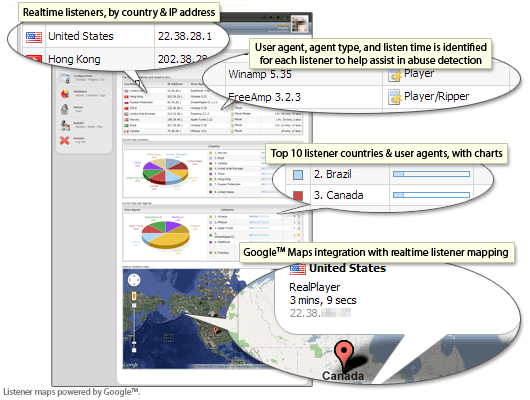 Push listeners to live feeds, playlist archives, general rotation, etc. Fallback mounts in the default Icecast server hosting configuration maintain a cascading priority. 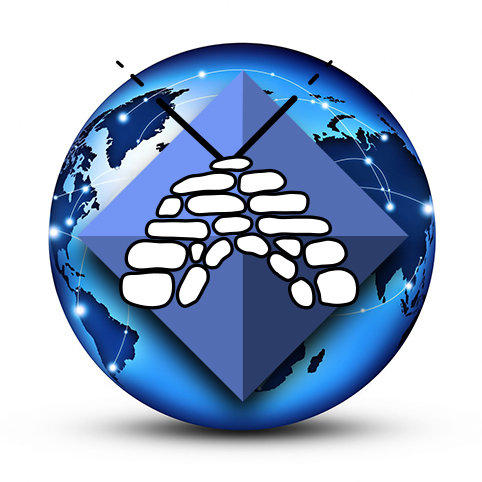 So, rather than disconnect if a /live signal drops, listeners will “fallback” to the /autodj mountpoint playing tracks in the background until regularly scheduled programming returns. Read more in our Introduction To Icecast. 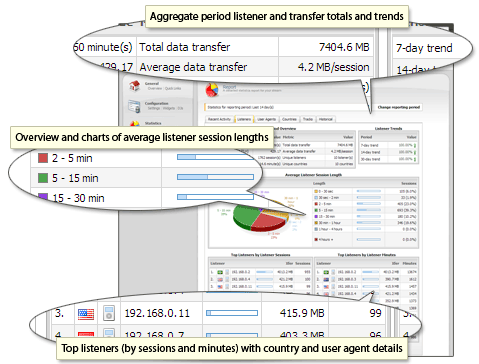 Drive listener traffic through an adaptive content delivery network routing mechanism to reduce latency. The dynamic network paths across the information Superhighway are constantly caching data. Let an intelligent component determine the fastest, most stable, route from point A to B in real time. Now, end users traverse Internet hops like roads on a GPS for a more consistent connectivity. Avoid packet loss. Enhance experience. Centova Cast is by far the most in depth streaming control panel for Icecast server hosting and Shoutcast server hosting, for that matter. The industry leading software is an Ajax based drag and drop controller which lets users modify content without leaving the familiarity and comfort of a modern web browser. 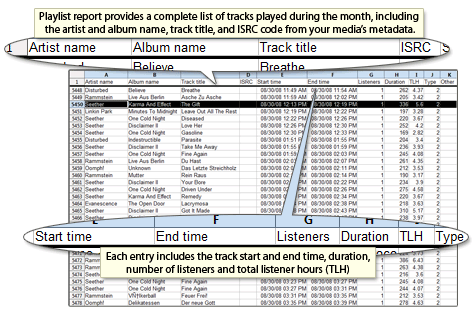 The playlist manager supports four types of basic radio programming: general rotation, scheduled, interval, and immediate. 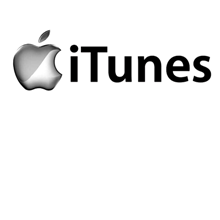 First upload an intro file to welcome new listener connections. 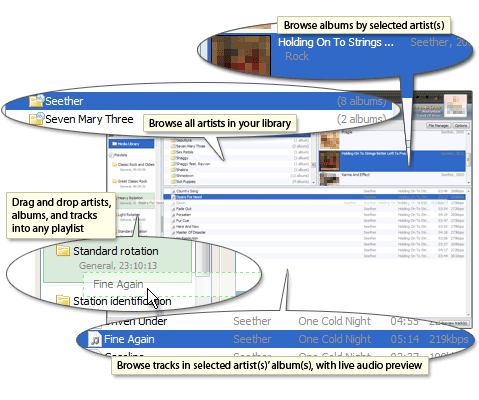 Then assign different playback “weights” to give specific songs more or less precedence. 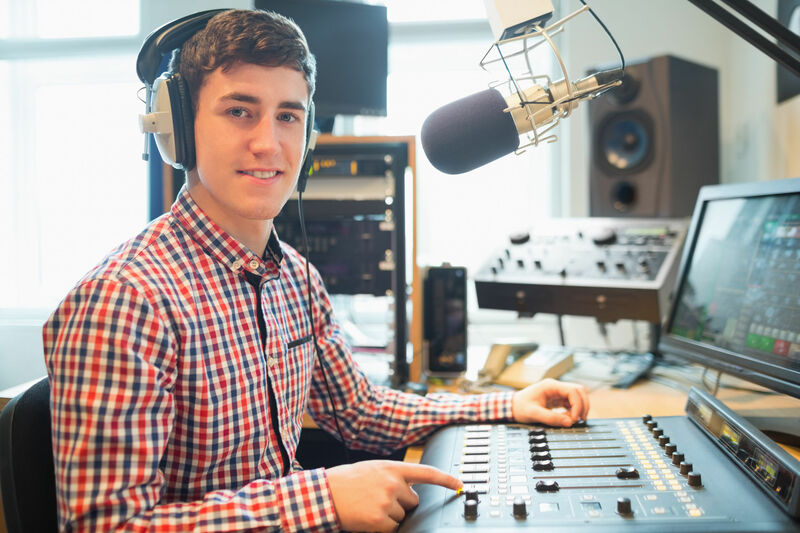 Next insert jingles or radio station id clips to repeat regularly. Finally, mix media by time and date, random shuffling, or sequential order, etc. The newest software development packages a web player, as well as other copy and paste widgets, for easy integration into websites. 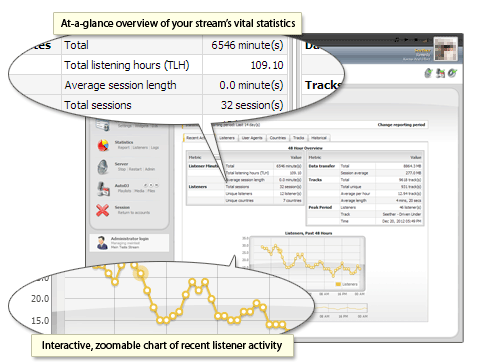 The design also improves statistical interactivity and tracks listener behavior for analytics and royalty reporting purposes. Try the demo. 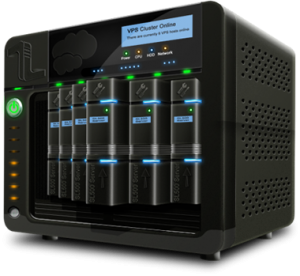 Maximum amount of file storage per Icecast server hosting account. 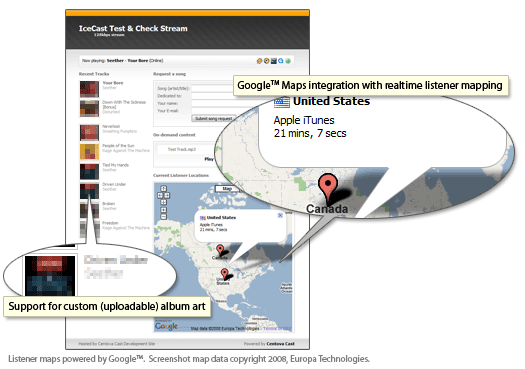 Simultaneously stream multiple sources under the same Icecast port. 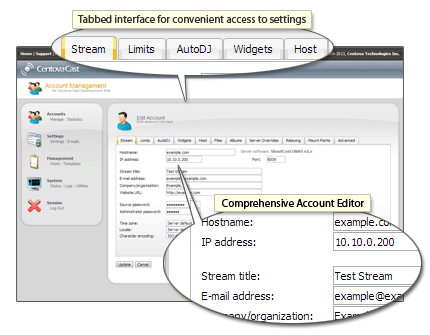 Manage Icecast server tasks through a point and click control panel. 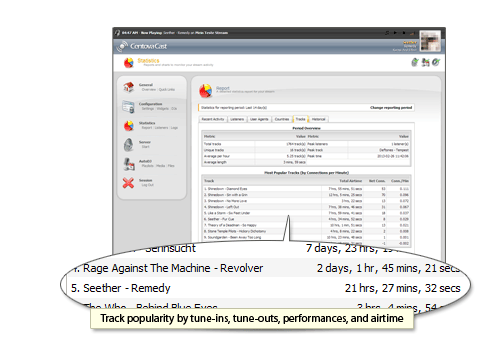 Loop a playlist in the background for listeners when a live source drops. Relay all mountpoints from one Icecast server configuration to another. 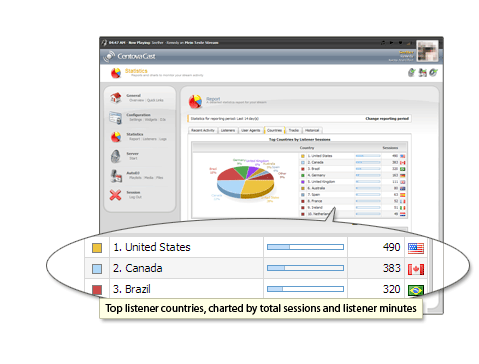 Login to the Icecast2 status page to move listeners between mountpoints. Read output print by the Icecast binary to debug a server configuration. 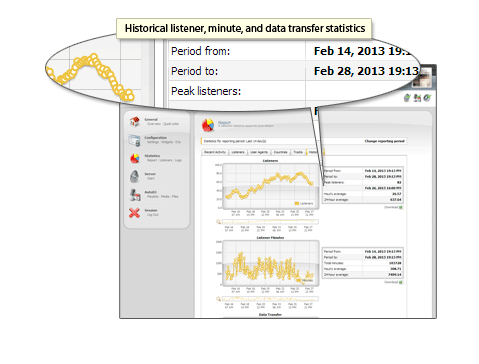 Icecast server hosting with a commitment to continued customer care.